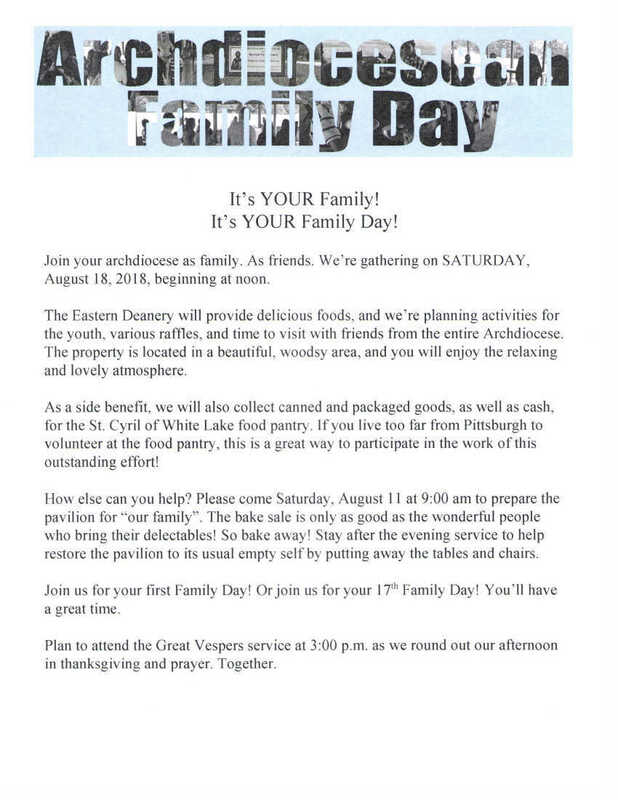 Our annual Archdiocesan Family Day will be held on Saturday, August 18, 2018 at the Archdiocesan Center, 8641 Peters Road, Cranberry Township PA 16066 beginning at noon and ending at 3:00 pm with Great Vespers. 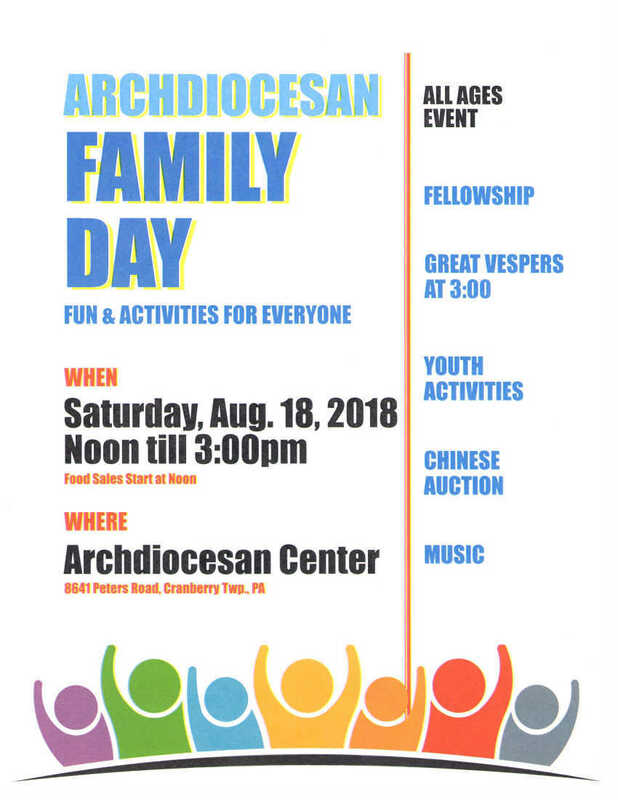 Everyone is invited to join the entire Archdiocesan family for a day of fun, delicious food, and fellowship. In addition, there will be youth activities and Chinese Auction. Join us!